Algeria, former UN Assistant Secretary General, Former Executive Secretary of the United Nations Convention on Biological Diversity (CBD); Ambassador of the Algerian Ministry of Foreign Affairs. Dr Ahmed Djoghlaf is an Algerian national and has pursued a distinguished diplomatic career that includes postings with the government of Algeria and the United Nations Environment Programme (UNEP). With the slogan “Biodiversity is Life. Biodiversity is Our Life,” Mr Djoghlaf was instrumental in leading the United Nations biodiversity summit in Nagoya, Japan, in 2010 to success and ensured the adoption of the historic Nagoya Biodiversity Compact by 193 countries. He was formerly the Assistant Executive Director of UNEP and Director of the Division of the Global Environment Facility Coordination. Prior to joining the United Nations, he held a variety of important posts in the Algerian Ministry of Foreign Affairs. He was advisor on environmental issues to the Prime Minister of Algeria and, prior to that, to three Ministers of Foreign Affairs of Algeria. 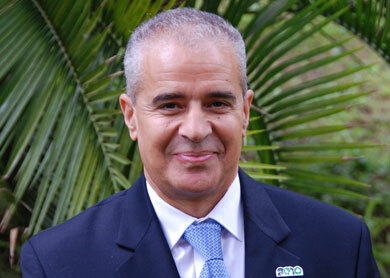 Mr Djoghlaf has lectured frequently on topics related to the Global Environment.